It's official, I've created the perfect gift for all the favorite teachers in your life! What teacher doesn't want to know just how appreciated he or she is?! 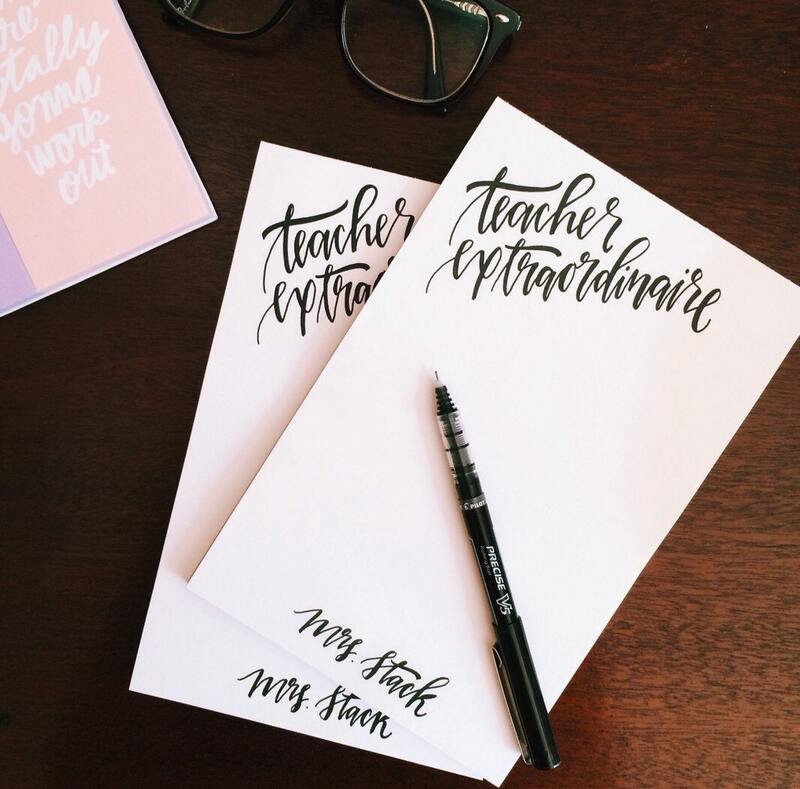 This listing is for a CUSTOM set of two Teacher extraordinaire notepads. Add your name, email, room number, whatever you'd like! Up to two additional lines of text. If you're worried that what you want written is too much, please convo me before purchase to make sure it will fit! The perfect gift for every teacher, principal, or professor! You work hard for our kids, going above and beyond to send that extra note home when one of your students may need some extra help, make sure your name and info is easily accessible on your correspondence! Set of 2, 50 sheet notepads, featuring my original hand lettered design, professionally printed, with sturdy chipboard backer.